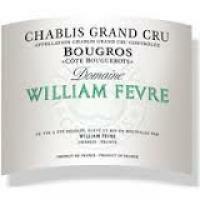 2017 Fevre Chablis Bougros Cote Bouguerots Grand Cru (Domaine) - $77.99: Vins Rare, The finest selection of rare wines. Burghound Rating: 91-94 Sweet Spot. Burghound (Allen Meadows) 91-94 "Sweet Spot"